What perfect timing! JDaniel has just discovered that you can get Matchbox cars at BILO. I think I am going to be hearing about them for awhile. Hahahahaha..... Right time, right place. 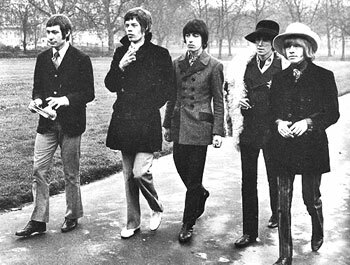 I love the Rolling Stones!! WE need to make that our family's theme song! Talk about perfect timing! That IS priceless! I love it! LOL - so cute! Now, I have to catch up on the lunch bags. Have a wonderful day! It's one of my all time favorites.. and ain't it the truth. Ha...so funny. My husband used to tease me about that and once burned me a CD (back in the days of doing that) and that was the last song on the CD :). I still laugh every time I listen to it. Now that was definitely timely! And it worked! If only parenting was that easy all the time. This story should be entered in the Readers Digest "just for laughs" or whatever their funny story section is. Or Womens World. I love hearing about your boys sweet antics. I could stand to hear this song in the mall once in awhile. Good for you. I always cave. And never get on another person's cloud! Hysterical! I struggle with the same issue with Deaglan. Lately I've been trying to explain to him that we just have the money to buy something everytime we go out and he just looked at us and said: But you have lots of money. Sheesh! This is such a cute post!! I agree good for you for not caving!! Sometimes it is so easy to do! I remember that song exactly! Perfect song to teach your son a good lesson. How 'bout that???? Love it!!! !